Highly trained in a variety of Martial Arts, Grandmaster Derman B. Hodge, Sr. Started his training at an early age in 1960, He believes in teaching the Traditional Martial Arts using modern scientific methods. 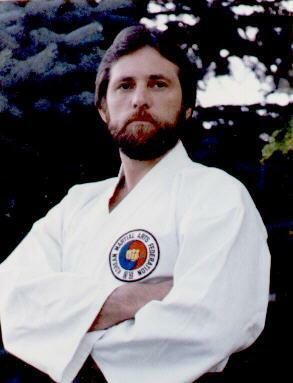 For GM Hodge, the Martial Arts are a way of life. He stresses the necessity of balancing the Mental, Spiritual and Physical aspects of being in both Martial Arts training and daily life. Through the World MooSul Kwan Federation, Chang-Hun TaeKwon-Do association and the World Martial Arts Weapons Federation he has certified over 450 Black Belts in various styles including TaeKwon-Do, Hapkido, Grappling, Aikido, Aiki JuJutsu, Dae Pung Kwan HosinDo, Shotokan, Judo, Arnis, Sil Lum Kung-Fu and Weapons. 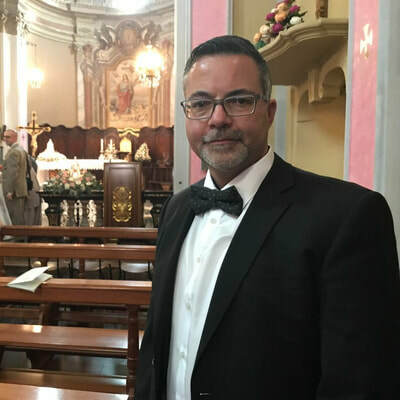 From the World Martial Arts Academy (International headquarters) in Florence, SC-USA, he oversees an international organization of schools, Instructors and over a thousand individual members. Grandmaster Hodge also believes that all Head Instructors of affiliated schools should be allowed to operate independently, without the politics and mandates that are in so many organizations today. Grandmaster Derman B. Hodge Sr. has studied with some of the greats in Martial Arts over a span of some fifty five years. His instructors have been as follows: The late Master Elliott M. Hodge (Father), the Late GM Kim, Chong Lo first Korean instructor(Taekwondo & Hapkido) in the 60's and 70's, Sensei Howard Davis (Shotokan &Jujitsu),Soke Te' Sakura Tanaka (Aiki Jujutsu) GM James Benko (Taekwondo,Hapkido and Weapons), GM Hee II Cho (Taekwondo & Hapkido), GM Ji, Jae Sun(Sun Moo Kwan Hapkido), GM Dave Wheatherly( Sun Moo Kwan Hapkido), the Late GM James Garrison (Hapkido, the Late GM Remy Peras (Arnis), and the late GM Eugene Humesky (TaekwonDo). 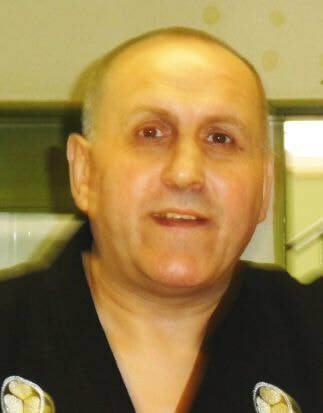 Grandmaster Hodge with over fifteen years of Professional Body Guard, Special Event Security, Crowd Control and Bouncing at various Clubs has proven his skills and experience in Self Defense, situations and passive restraint Techniques. He is perhaps most unusual in his dedication to the Brotherhood of all Martial Arts. He stresses the Brotherhood of all Martial Arts and the fellowship of Instructors all over the World no matter what style you study. 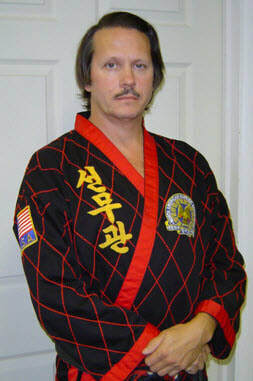 Not only does Grandmaster Hodge study and teach a variety of Arts and Styles, he also encourages his students to learn from all sources available to them, and not to have a narrow mind when it comes to the other styles or try to decide which one is the best, because all have similar techniques and movements just a different road to travel. When you attend an educational institute you are taught more than just math. 1992 Sterling WHOS WHO Executive Edition in their chosen fields ( only two issued every three years). 1996 letter of Appreciation from GM Nam Suk Lee- The World Taekwondo Cang Moo Kwan Association. 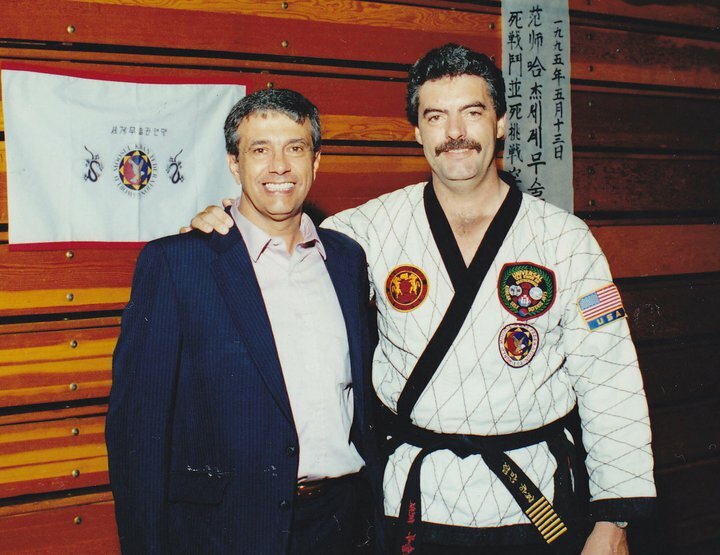 10th Degree Black Belt- Traditional International Taekwondo Federation (GM Dafyd Haase) #USA-10-01- Dec. 30th,2016. 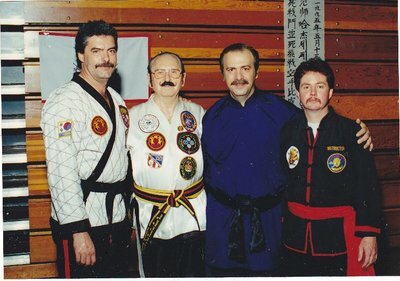 10th Degree Black Belt Dae Pung Kwan HosinDo (The Great Storm School of Self-Defense) ISA,WMAMC,WSCKS,IFBB. All 10th Degrees are Honorary-GrandMaster Hodge goes as a 9th Degree out of respect for his Instructors and Tradition! 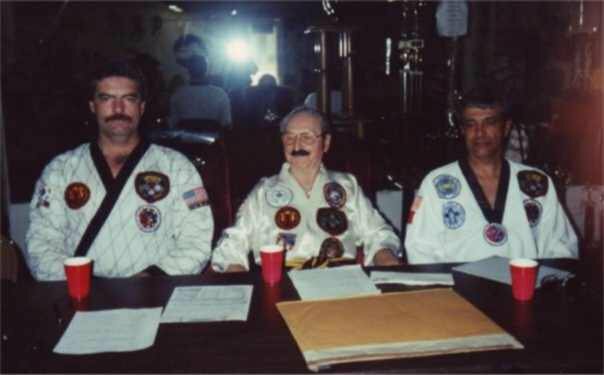 9th Degree Black Belt- Kido Kwan Martial Arts International Cert# 9-5-3037 -April 11th, 2002. 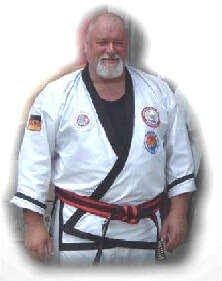 9th Degree Black Belt-WSCSO (Hanshi Kempo Ju-Jitsu International Grandmaster)(US215)ID# 11-US-5371-GM Schneider-GM Stumpf. 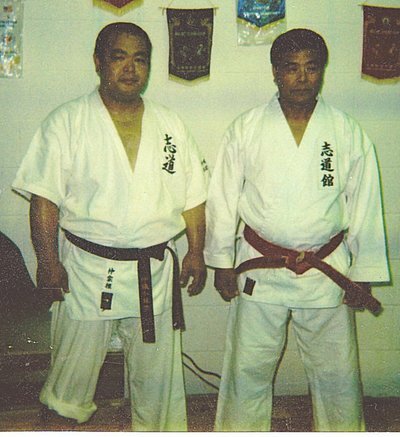 9th Degree Black Belt- Korean Hapkido Federation (Ju Sool Kwan)- (GM Kim Sang Foon) (#IF122) July 2002. 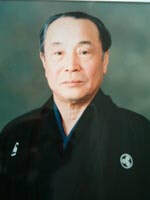 8th Degree Black Belt- Korean Hapkido Federation (Ju Sool Kwan)- (GM Kim Sang Foon) (#IF92) Januray 1997. 7th Degree Black Belt-Tang Soo Do-WSCSO (US217) GM Frank Schneider, Gm Benedetto Stumpf.